Mack Thompson has recorded three home runs this season at Rose State College. Charles Page High School Class of 2017 graduate Jake Terry has seen limited action this year at the University of Oklahoma. The No. 16 ranked Sooners (23-11) lead the Big 12 Conference with an 8-1 record. Terry holds a 1.93 ERA in 9.1 innings pitched with seven hits, two runs, four walks, and six strikeouts. 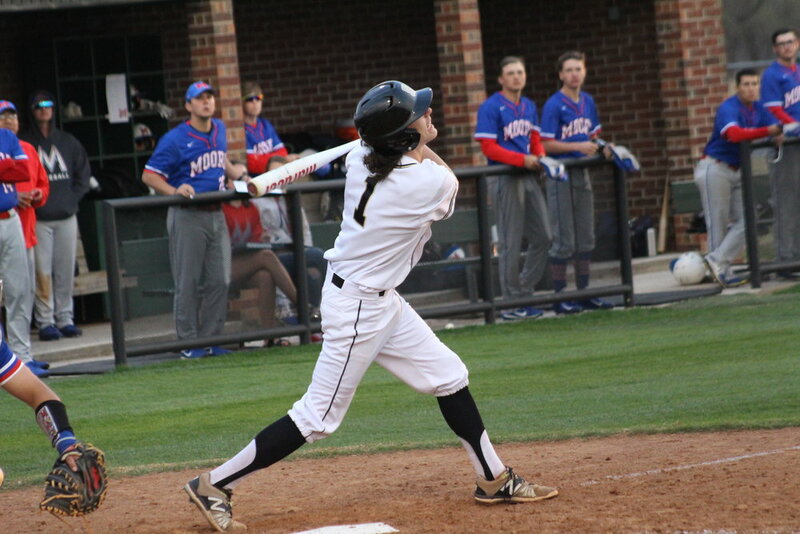 Rhett Rutledge (2016) is excelling at Northern Oklahoma College at Tonkawa. The Mavericks are 30-5-1 overall and ranked third in NJCAA Division II. Rutledge holds a .407 batting average with 22 hits, nine doubles, twenty runs, and eighteen RBI on 54 at-bats, and is .953 fielding. Three 2017 grads are competing at Rose State College this year. The Raiders are 16-19 overall and 4-14 in conference action. Mack Thompson is .227 at the plate with 22 hits, five doubles, three home runs, sixteen runs, and nineteen RBI on 97 at-bats and is .929 in the field. Treyce Tolbert is batting .208 with eleven hits, three doubles, eleven runs, and seven RBI on 53 at-bats, and is .917 fielding. Josh Cordell is undefeated at 2-0 on the mound. He holds a 5.57 ERA with 28 hits, thirteen earned runs, seven walks, and 25 strikeouts in 21 innings.